a trip so memorable you will talk about it for years to come! We want this trip to run very smoothly, avoiding any hassles, inconveniences, misunderstandings or any other unpleasant situations. Please prepare thoroughly by getting the required travel documents to enter Brazil, as well as adequate insurance. We have posted several links that will help you with this preparation. We are not responsible or liable for any lost, damaged and/or stolen items, illness, injuries, accidents, missed flights and/or buses, or any other unpleasantries you may encounter during this trip and/or prior to the arrival of this trip. you can take out money with your debit/credit card at the various ATM machines! All travellers must possess a valid passport (expiration date at least 6 months from date of travel). Canadian and US citizens MUST obtain a VISA to enter Brazil for any purpose. Please do check with the Brazilian Consulate of your country/region. European citizens do NOT require a VISA to enter Brazil for any purpose. Upon arrival at a Brazilian airport your passport gets a stamp for a max stay of 90 days. Please do check the Brazilian Consulate of your country. 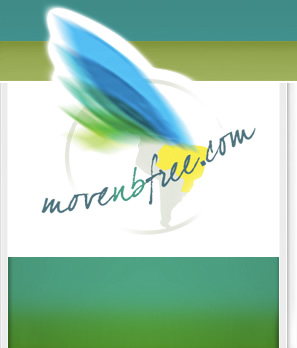 There are no specific health requirements, vaccinations, for the area you will be visiting during your moveNBfree brazilian journey. If you plan on travelling to other parts of Brazil or other countries in South America prior or after the journey please inform yourselves. Please be aware that there can be plenty of mosquitos and other insects - come prepared. We highly recommend/insist on travel insurance (medical & accident) for this journey, over and beyond the medical insurance you already have at home. We also highly recommend cancel for any reason insurance for at least the flight portion of your journey to insure you with full flight protection coverage. Brazil is a tropical country = hot and humid, especially the areas you will be visiting. Temperatures can rise well above 30 °C during the day and not drop below 20 °C at night. The good thing is that you can pack lightly. You will not need a cardigan or sweater. You may want to bring a light rain coat for your adventure trips and firm footwear for walking through the forest, but other than that light and breathable clothing (better no synthetics) are advisable. Beach towels are not provided and most Brazilians use a sarong instead, which you can buy everywhere and is also a nice souvenir or present. Brazilian’s most common footwear are flip flops. The famous Havaianas can be bought everywhere as well as some cheaper brands. Please bring your own yoga mat and a reusable water bottle to stay hydrated. Tropical weather also goes hand in hand with mosquitos. The pousada has high-end mosquito nets but we recommend bringing mosquito repellent if you want the natural stuff, or buying it here. The nice breeze of the ocean will keep mosquitos at bay but when walking through the forests or at dusk and dawn you may need some protection. You may be coming from severe winter weather with a temperature difference of more than 20 °C and intense sunshine so please bring enough sunscreen, aftersun lotion, a sun hat/cap, and sunglasses. You may get seduced by all the amazing tropical fruits and other delicacies, your body may not be familiar with. Please be cautious and adjust your diet gradually so you don’t get hit by Montezuma’s revenge or get seriously ill. When travelling, no matter where you go, be cautious, use common sense, without becoming paranoid. Better to leave valuables at home, be modest, keep your belongings on you and always keep an eye on them. Avoid unlit areas and/or tiny streets, especially at night. Brazilians are a very warm, welcoming, helpful and genuine people. They are also very sensuous, show affection openly, and like to compliment you but not in a derogatory way. Brazilians love life, are proud of their heritage and culture, and show this passion through dance, music, capoeira and celebrations. The Brazilian vibe is 'infectious' and makes you want to come back for more! If you would like to stay in Brazil longer we can help you with planning and recommend other places!